While many new wooden sundecks in Far North Queensland start out looking like a shiny diamond after initial construction and a fresh deck coating, it’s not long before some end up looking like a lump of coal. 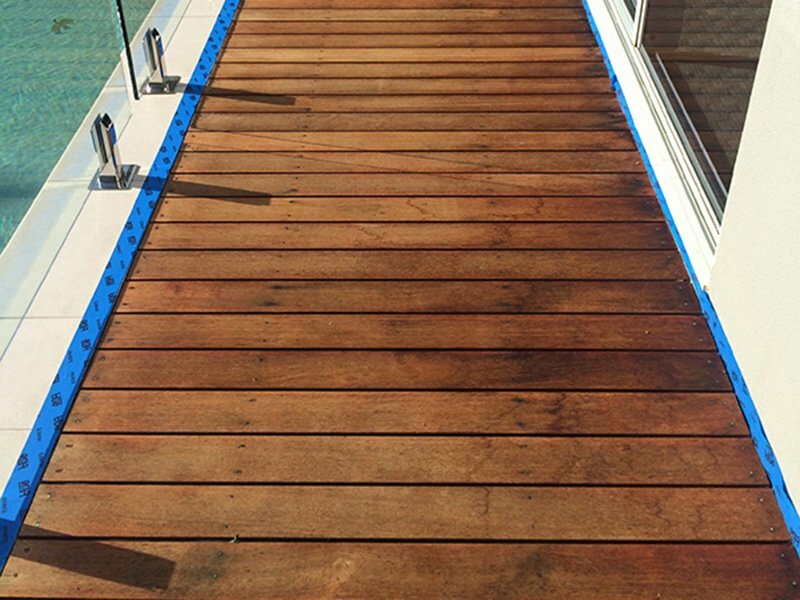 With the intense UV rays, high humidity, high moisture and salt air all playing parts in the natural deterioration of wood, it’s not surprising that sundecks in Far North Queensland literally take a beating. One of the main problems with many decks in FNQ is not only the exposure to the harsh environmental elements but the deck coating that’s put on them in the first place. 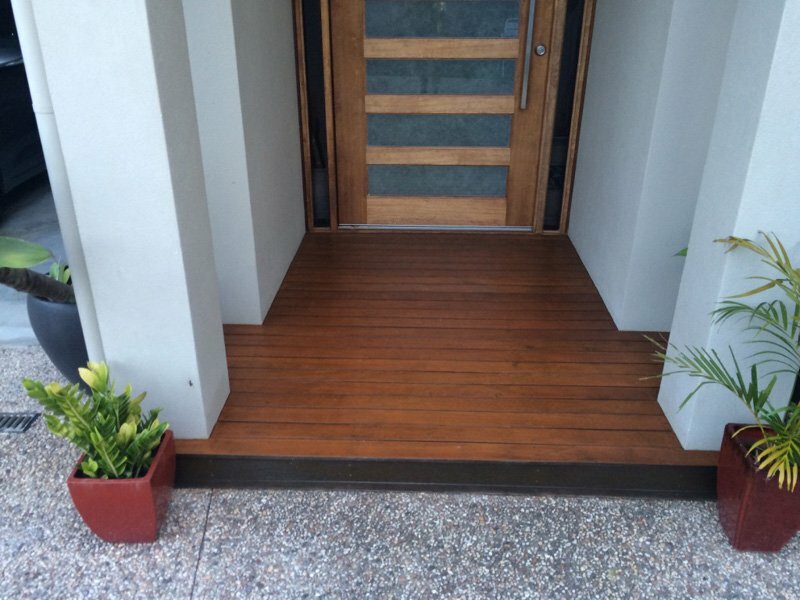 Many of the latest technology deck coatings are simply that — just coatings, they coat the wood used in building decks and stairs and have very little actual penetration into the many types of hardwoods used in FNQ. While they look great on initial application, they’re quick to crack, peel, blister and deteriorate in the harsh conditions. In addition, many of the top selling brands of deck coating finishes don't allow users to simply fix small trouble spots, so you cannot simply sand out worn or cracked areas and re-coat them. In many cases the only remediation to a peeling or blistering deck, depending on what product was applied, is to bring the whole deck back to bare wood and refinish it. 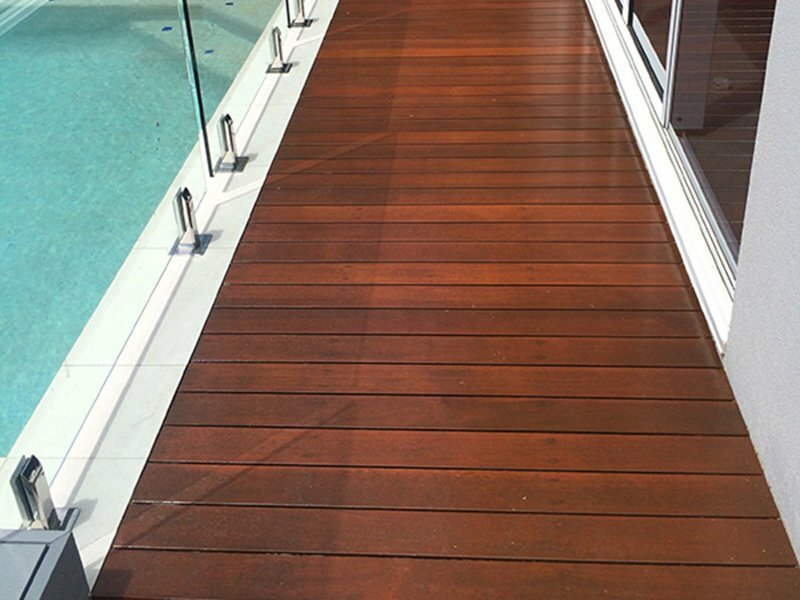 Cairns Deck Restore uses the latest technology in oil based wood preservatives that are designed to not only penetrate and preserve your wooden deck but also resist mould, fungas and termites. 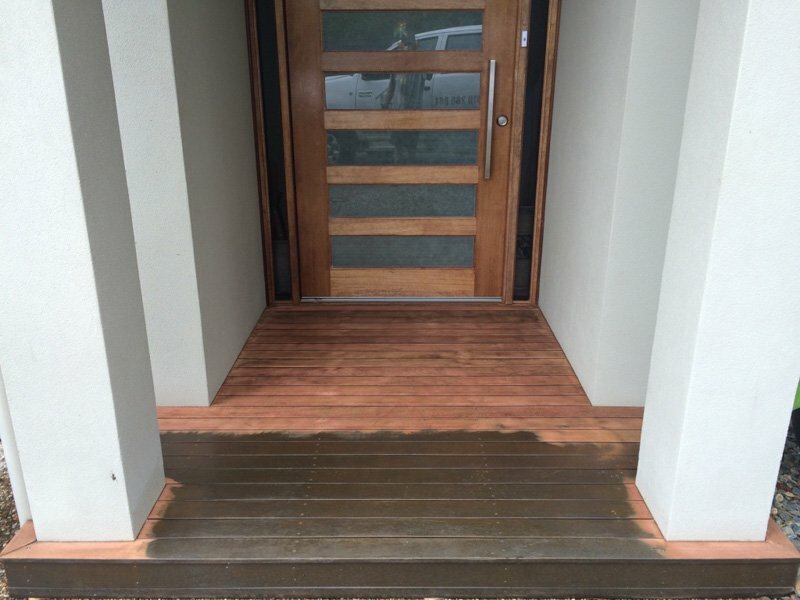 The deck coating is not only extremely durable in the harsh Far North Queensland environment but also easy for homeowners to maintain and touch up as necessary. While many deck coatings will need some remediation or even fail completely within 12 months of application, the product Cairns Deck Restore uses, once applied properly, should last up to 18 months or more before any maintenance is required. This of course will depend on your deck usage and the decks exposure to the elements. Cairns Deck Restore will show you how to maintain your newly refinished deck or we’ll be happy to come and give it a fresh coat for you when needed.